NEW BRIGHTON, Minn. -- Three Minnesota brothers get deep sea inspiration to raise money for charity every winter. 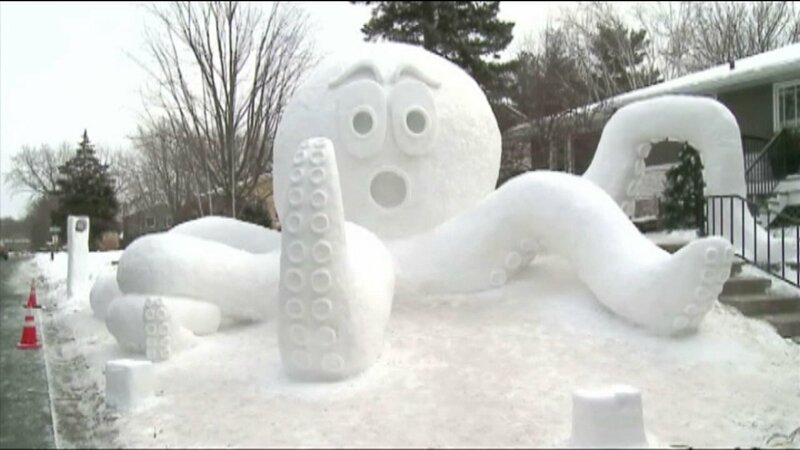 This year, they spent five hundred hours creating a giant 18-foot octopus in their front yard. Their goal is to raise $10,000 to bring clean water to Haiti.